How do I buy a iWin Franchise? 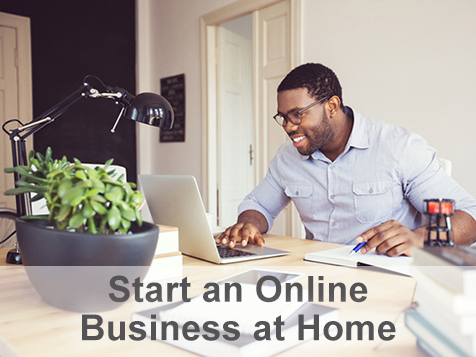 The Institute for Wealth in Networking (IWIN123) has developed a home business model that gives you the ability to start an online business from the comfort of your home, featuring over 600 top selling digital products, where you earn a 90% commission rate! You read that right 90 %! But it's much better than that....wait till you understand our compensation plan. This business’s model offers multiple levels of ownership to allow a very modest budget to grow your business QUICKLY while you run your business from the privacy of your own home. Many of our successful members have started by keeping their full-time day job while managing their online business part-time! This is possible in large part by the built in live support that will actually get you started by making your first sales for you. Open iWin in any of these available states: AK, AL, AR, AZ, CA, CO, CT, DC, DE, FL, GA, IA, ID, IL, IN, KS, KY, LA, MA, MD, ME, MI, MN, MO, MS, MT, NC, ND, NE, NH, NJ, NM, NV, NY, OH, OK, OR, PA, RI, SC, SD, TN, TX, UT, VA, VT, WA, WI, WV, WY. Perhaps you’ve been thinking about starting a business for a while. Or, maybe you’ve just realized that the best opportunity is the one you make for yourself. Either way, you’ve come to the right place. Our turn-key website program includes your personalized e-commerce enabled website, 24 hour secure hosting, a merchant account, your custom domain name, and back-end access where you have access to our marketing product tools. There is no better time to get started. IWIN makes ownership of your own HOME business easy, pain free, and affordable! Get started today and we will have your website online and ready to make money within a day! The Institute for Wealth In Networking (IWIN) is a nationwide technology service company. Our business model is the best in the industry as a innovative leader in our field with over 10 years experience. Our product and or service in one word is: Education. Specifically, we teach people how to earn money from home by utilizing various marketing strategies both online and off. We develop and provide the training, support and related marketing products that every business needs. So matter what business you may find yourself in, the one thing all businesses share is a need for customers and a great marketing strategy is always the engine that drives every successful business. But we go one step further because while we will first focus on getting you educated with the various marketing strategies to use but then we will actively quick start your business for you by not only making your live phone sales calls but even signing up your first 2 profitable sales thus often returning up to 90 % of your start up fee! You might compare us to a school where you receive a marketing education then use that education and earn a lucrative income by in turn teaching future students who not only desire the same education but also desire to start their own business under your franchise as well. Thus you'll also be earning a 10% residual income on all your customer's sales for ever. But wait it even gets better than that! Over 600 Top Selling Items & 90% commissions. At IWIN, our franchisees are business-minded individuals with a desire to help other people get financially ahead and who enjoy working with people. Please keep in mind that this is not a brick and mortar business. You most likely will be working from home. The vast majority of our sales are handled over the phone with email/internet interface as well. You will not be doing any inventory of products. You will not be responsible for shipping of products or a monthly sales quota. The overhead for this business is very low. We are just looking for the person who wants to get ahead , a go getter , who is not afraid to get to work making a very lucrative income and helping others in that process. Proof of concept –Been open FOR 10 years and growing quickly. Profitable business – High margins and low startup costs make for solid reasons to expect a quick ROI. Residual Income increases with each sale of your down line and your business grows quickly. Large Territory – Territory boundaries are large and intended to help an owner thrive. We do not cannibalize the territory size; we want our owners to have very large customer bases so they can make a ton of money! Adaptable nationally – Every other home business you look at has potential customers. Cash requirements are very reasonable - A franchisee could start a IWIN operation with as little as a $4,000 investment, which includes the franchise fee. iWin is not currently active in our directory, but here are some other recommended selections for you to explore.